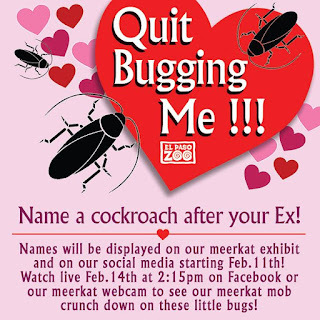 Message us your ex's name and we'll name a cockroach after them! We'll post names (First and last name initial!) starting February 11 here on Facebook! 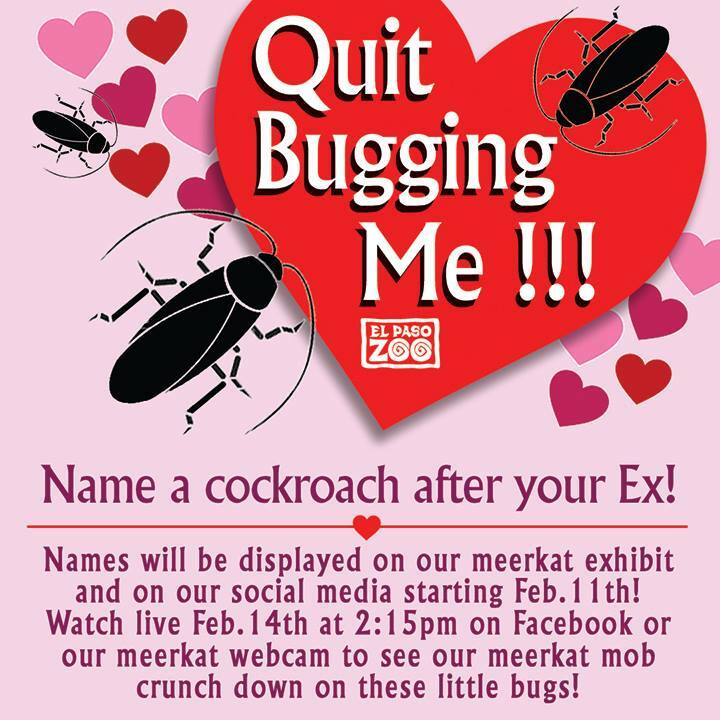 Watch on Facebook Live or on our website's Meerkat webcam on Valentine's Day at 2:15 pm to see them devour these little bugs!